Mid this year, WD announced and released two new higher capacities for their WD Red NAS hard drives, including a WD Red Pro series. 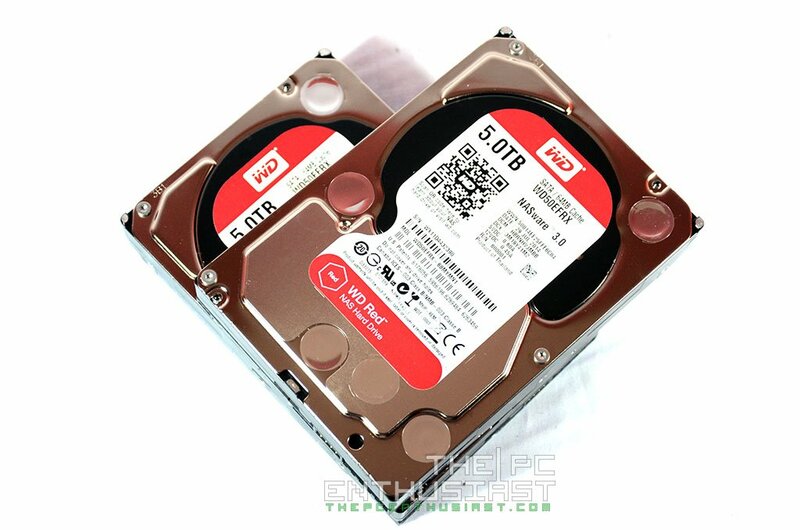 Today, let’s take a look at the WD Red 5TB NAS hard drive featuring the new NASWare 3.0. Like its predecessors, the WD Red 5TB is primarily designed for 1 to 8 bay SOHO NAS systems. It’s also silent, power efficient and is highly compatible with most NAS sold today. It features IntelliPower but it’s a tad faster compared to the 4TB capacity. Ready to upgrade your storage? 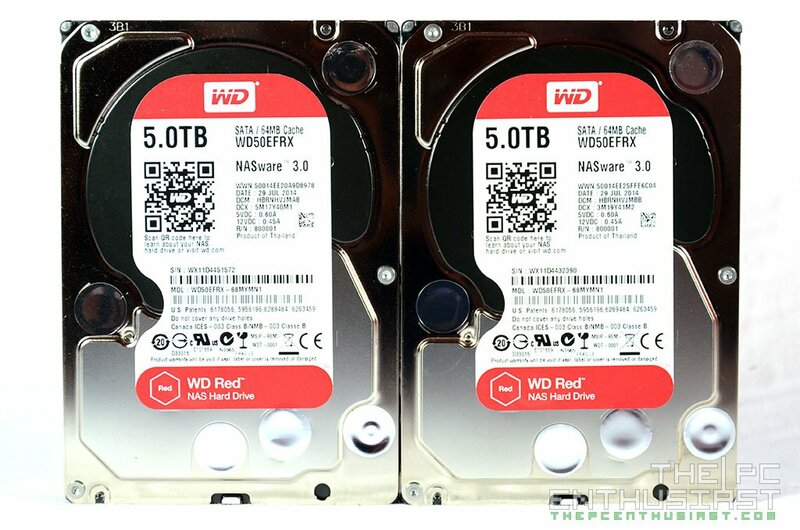 Please continue reading my WD Red 5TB review below. NASWare 3.0 comes with Error recovery controls making RAID configurations much more reliable and significantly reduces RAID errors compared to desktop hard drives. 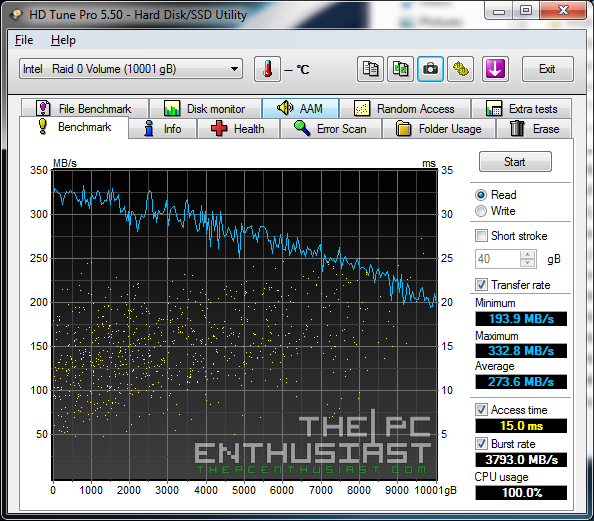 WD Red drives also produce lesser noise and vibration compared to your typical hard drives. The noise or vibration coming from a single drive might not be that loud, but we are talking about several hard drives put together. Noise and vibration may reduce the life span and degrade performance, so it’s important to control and lessen them. Streaming Support – NASwareprovides built-in compatibility with the ATA Streaming Feature Set, which is important for AV storage applications such as Windows Media Center. SMART Command Transport (SCT) support – NASwareallows monitoring and measuring of drive performance via the SMART command set. SMART can return data like thermal profiles, drive access statistics and more. NASwarealso delivers temperature accuracy within 1°C. Power Management Support – Enables optimized power usage within the NAS system and protects your data in the event of a power loss or disruption. Aside from the new NASware 3.0, both the WD Red 5TB and 6TB NAS drives also features the company’s StableTrac technology where it secures of the motor shaft at both ends in order to minimize vibration. The WD Red 5TB also features 3D Active Balance Plus technology. It’s basically an enhanced dual-plane balance control that significantly improves the overall drive performance and reliability. 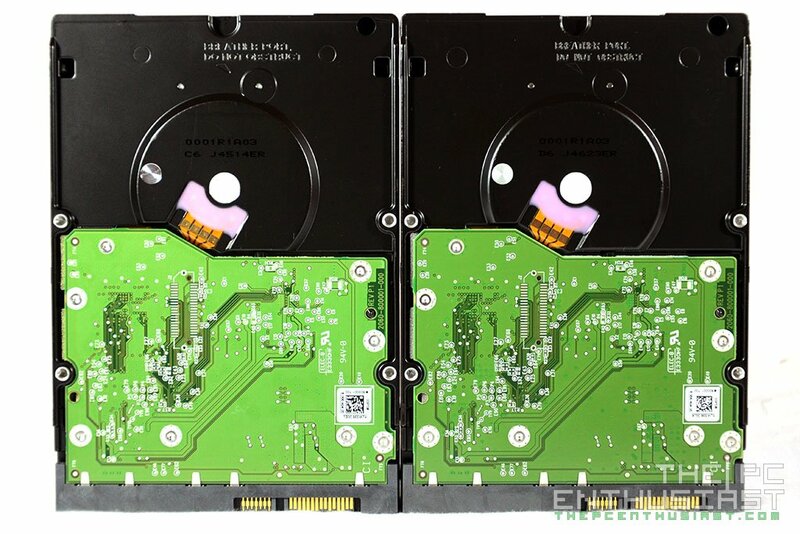 Hard drives that are not properly balanced may cause excessive vibration and noise in a multi-drive system, reduce the hard drive life span, and degrade the performance over time. Just like its predecessors, the WD Red 5TB drives features IntelliPower rotational speed. It’s basically “a fine-tuned balance of spin speed, transfer rate, and caching algorithms designed to deliver both significant power savings and solid performance.” But the 5TB comes with a tad faster 5700RPM compared to the 4TB which has only 5400RPM. Its internal transfer rate is up by 170MB/s for the 5TB capacity. All WD Red NAS hard drives have 1 million hours of Mean Time Before Failure, and comes with a 3 year warranty, which is 1 year longer compared to your desktop drives that usually comes with a 2 year manufacturer warranty. In testing the WD RED 5TB NAS Drive, I installed it on a Gigabyte Z97 Gaming G1 WiFi BK Black Edition motherboard, powered by an Intel Core i7-4770K processor. The firmware version is 82.00A82. 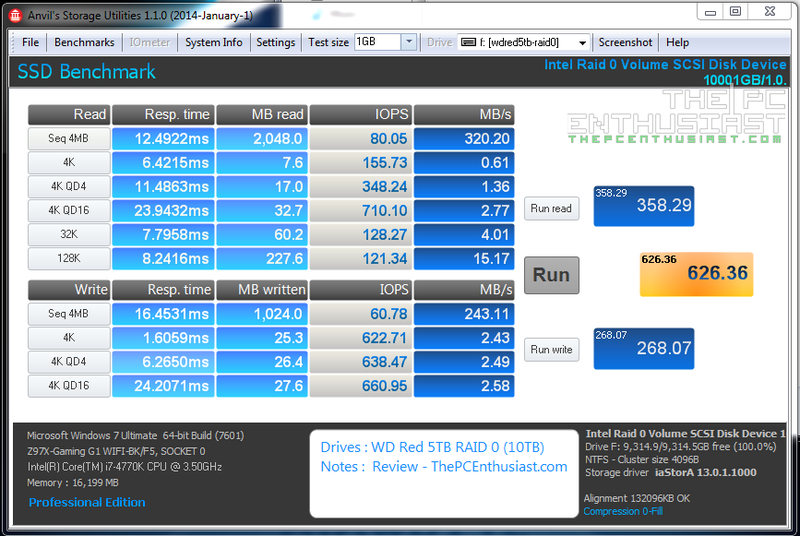 The WD Red 5TB was plugged in a SATA 6Gbps port using AHCI (Advance Host Controller Interface). 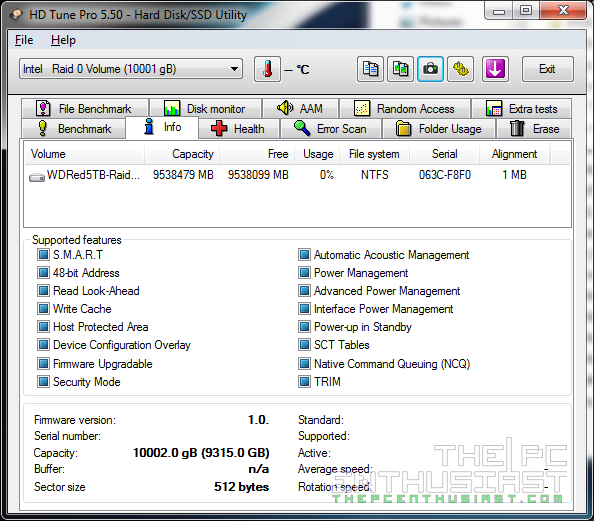 The drive was also not populated with any files, meaning it has a 100% free capacity. For the RAID 0 test, I changed AHCI to RAID in BIOS. Below are the specifications of the test unit. Below are benchmark results of a WD Red 5TB drive via AHCI settings. 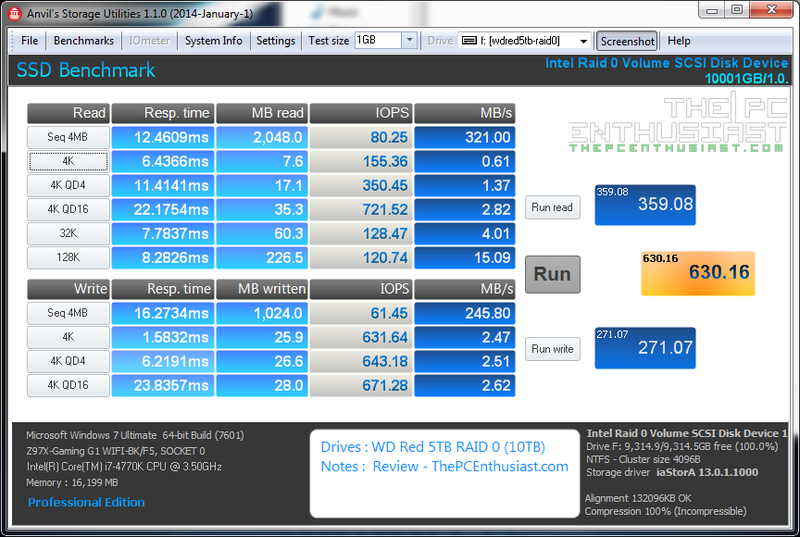 Below are benchmarks results of two WD Red 5TB drives configured in RAID 0. Notice the capacity doubled to 10TB, and speed almost doubled. Both the WD Red 5TB and 6TB NAS Drives are widely available. 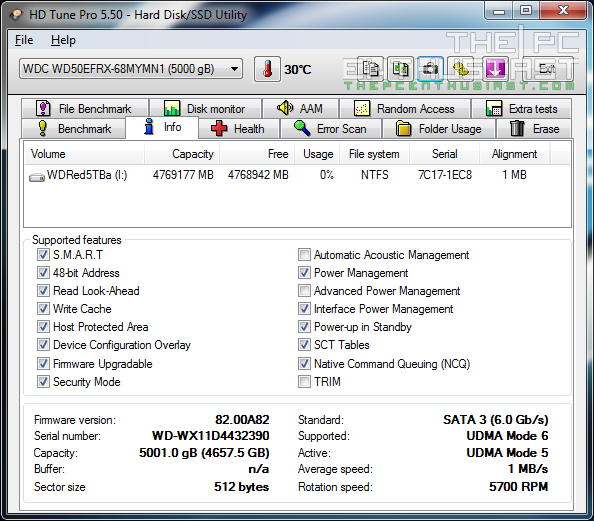 At the time I published this review, the 5TB (WD50EFRX) model has an MSRP of Php 10,950. Meanwhile, the 6TB (WD60EFRX) model has an MSRP of Php 13,400. However, do note that actual retail price or street price could be lower than the MSRP price. There are retailers selling these hard drives for a (much) lower price. In the US, the 5TB and 6TB capacities respectively has a retail price of $225.94 and $289.99 at the time I posted this review. It’s also available in 1TB, 2TB, 3TB, and 4TB capacities. You can check out the latest best price and order one here, or get the retail kit here. WD is also offering a 3 year limited warranty and customer support.Note that prices are subject to change from time to time. Check out the link for updated prices. 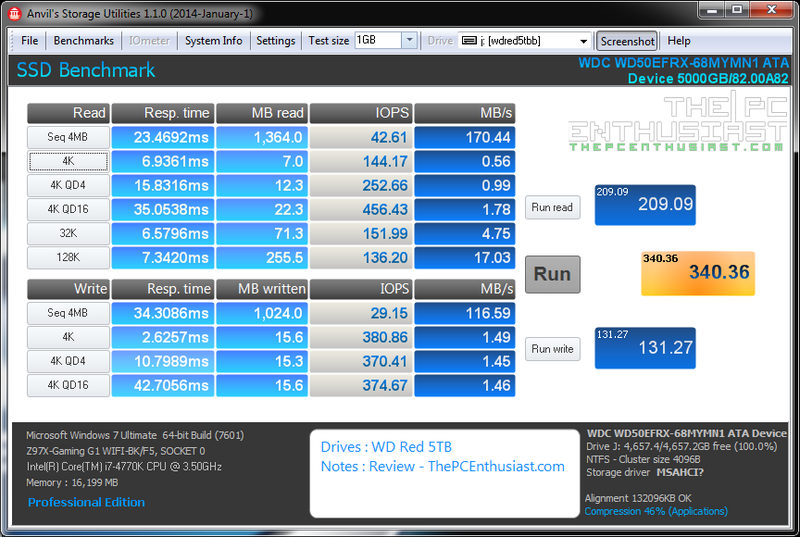 Once again the WD Red NAS drives didn’t disappoint me. I’ve seen improvements in terms of speed compared to the WD Red 4TB I previously reviewed. 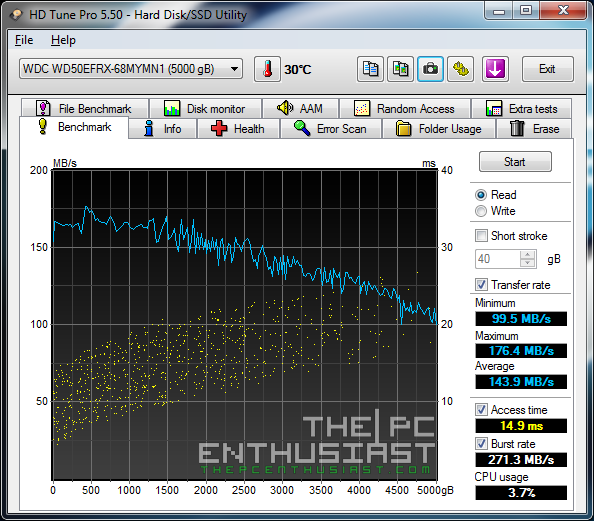 Thanks to its slightly faster 5700RPM speed and 170MB/s internal transfer rate. 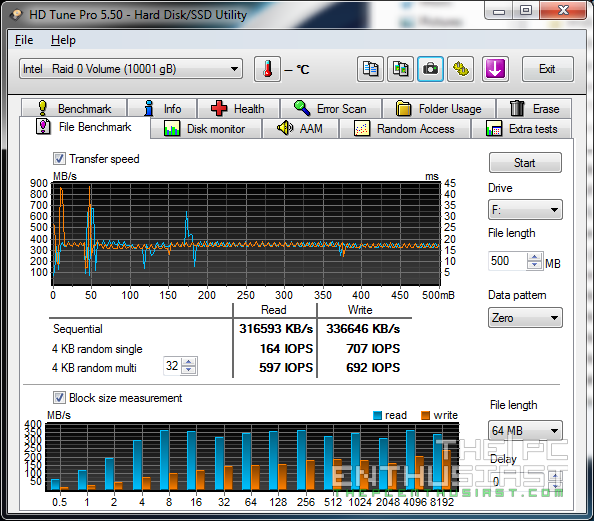 You can see from the benchmark results above that the drive was able to reach around 170MB/s. Surprisingly, CrystalDiskMark returned a much faster result. I also installed both the WD Red 5TB on the QNAP HS-251, but this time setting it to RAID 0 rather than as an individual drive. It’s actually hard to tell the improvement specially that I don’t have the enough tools or hardware to gauge the difference. But I did notice a tad improvement in terms of data transfer. Oh, the HS-251 got a little bit hotter since there are now two drives running on passive cooling. 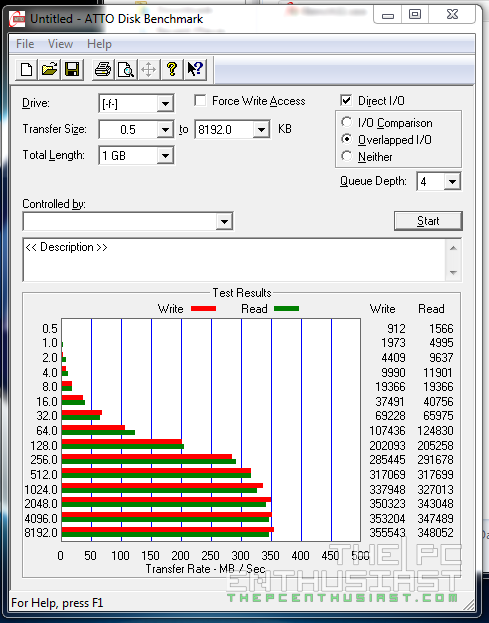 Not really an issue with the drives, rather it’s on the HS-251 itself due to its design. I didn’t get the chance to test the 6TB capacity, but based on specs sheet and from the other reviews I’ve read, the 6TB capacity does have a little bit of an advantage, not only in capacity but also in terms of speed as well. So if you got the budget for a 5TB or 6TB capacity, better get them instead of getting the lower capacities. Aside from having a higher capacity, the WD Red 5TB comes with the newer NASware 3.0 firmware, faster read/write speed and more power efficient as well. The WD Red 5TB also gets my vote and I can definitely recommend this as a good upgrade to your existing NAS system or if you are planning to build a new NAS system.